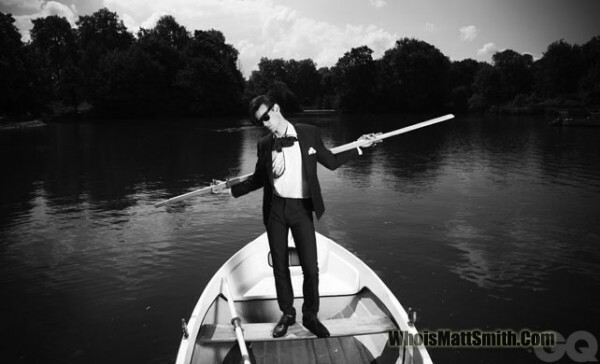 [New] - GQ Photoshoot 2010. . Wallpaper and background images in the Matt Smith club tagged: matt smith photoshoot gq 2010 event boat smith matt dr who <3. This Matt Smith photo contains 桨, 赛艇, 外壳, 赛艇, 壳, and 赛车壳. There might also be 独木舟, 筏, 皮艇, and 皮划艇.